All set for your trip to the Waterpark Capital of the World? Booking a hotel and a flight isn’t the only two things that you’ll have to manage before you leave. Have you thought about what you’ll pack in your suitcase? No, no, not just your toothbrush and your clothes. There’s more. To help you prepare for the trip, here’s a list of essentials that you shouldn’t forget to pack with you. With over 20 indoor themed waterparks in Wisconsin Dells, it will be a shame if you forgot to take your bathing suit along. Pack a couple or more suits just so you wouldn’t have to deal with the crisis of your used suit not having dried through the night. 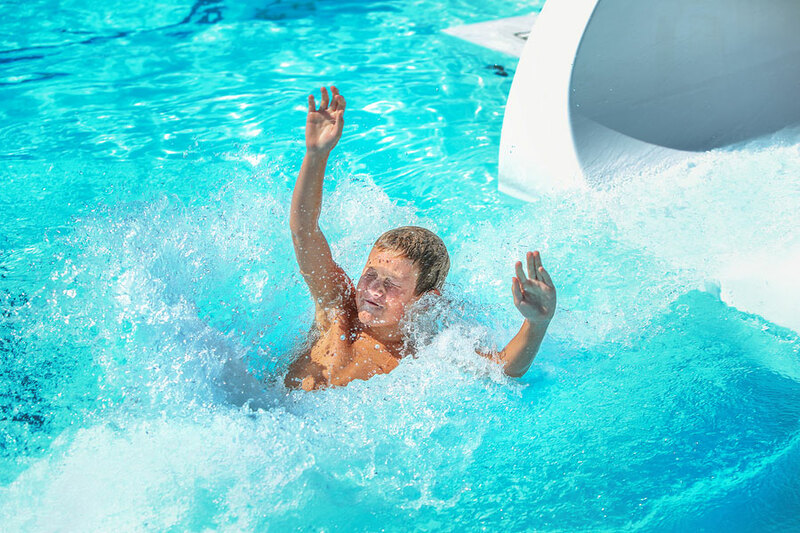 Since will be spending most of your time taking dips in the various waterparks, it’s important that you don’t forget to bring your SPF30 sunscreen lotions, especially the ones that are waterproof. Carrying a pair of flip flops will save you from a lot of trouble. Imagine this. You enter the waterpark in your shoes and even if you try your best to save them from water, some will be splashed on to your feet and there’s no running away from that. Moreover, who would want to waste time taking off shoes every now and then before every ride? Other than these, beach towels, protective hats, a small fanny pack are additional items that will make your trip more comfortable. If you’re looking for Wisconsin Dells suites packages, check out the pocket-friendly offers we have at Ramada by Wyndham Wisconsin Dells.